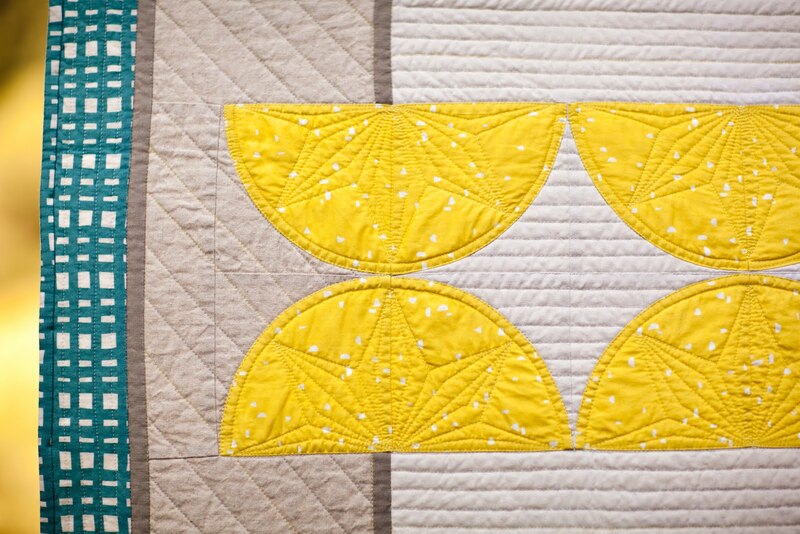 With QuiltCon just around the corner I have some amazing news. 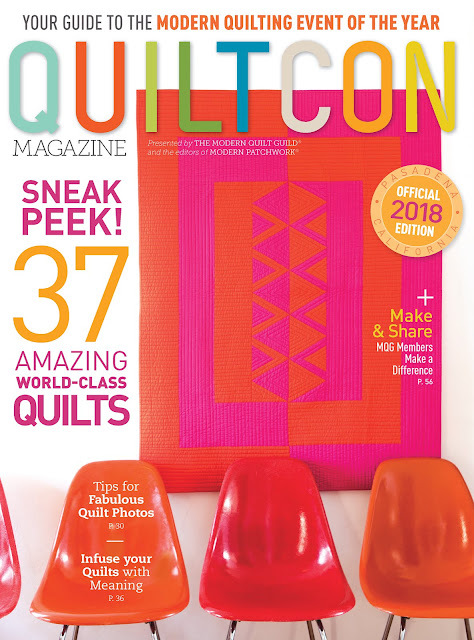 After being too scared to submit a design for the 2016 QuiltCon Magazine and then having last year's design rejected I finally have a quilt pattern featured in QuiltCon Magazine... Lemon Drops! It's such an honor to finally have a design in QuiltCon magazine, which is now available for purchase, but my reject a had happy ending. Optics was accepted to show at AQS Fall Quilt Week in Paducah, pretty cool. 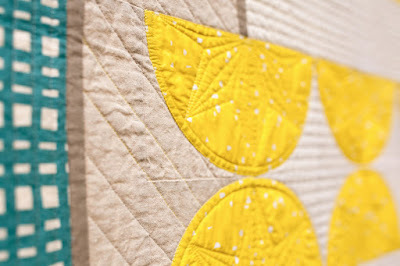 Lemon Drops rounds out the last of my five quilts accepted into QuiltCon this year. The hardest part of secret sewing is keeping the news hush hush and in this case I waited almost five months to spill the beans. Not my longest wait but definitely a hard one with my past experiences. I took a few risks for me with this design. I used both prints and linen to give it a light summertime feel. I definitely had a picnic theme in mind while designing this. 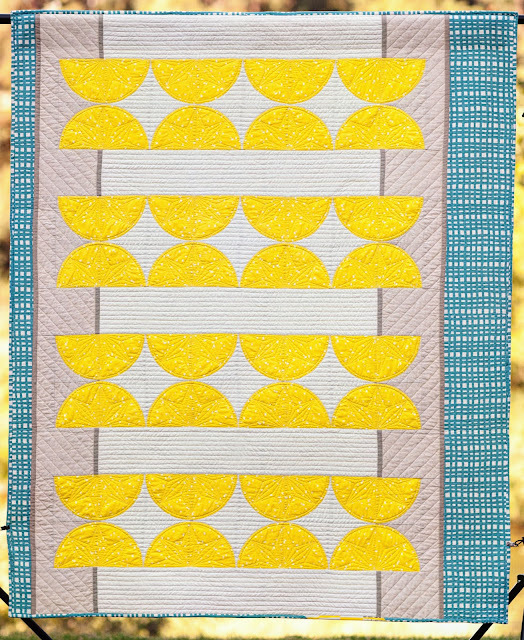 Also, I entered this design in the Modern Traditional category at QuiltCon, a first for me. Taking chances are scary and putting your work out there to be judged can be just as scary but it can also be so rewarding. 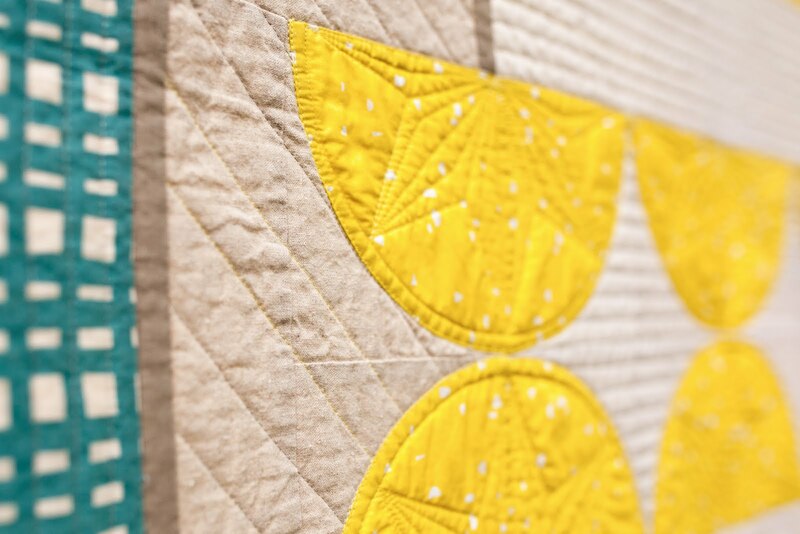 I'm really looking forward to Quiltcon next week and seeing all those amazing quilts in person!